Oui! For children aged 7 to 77 years! 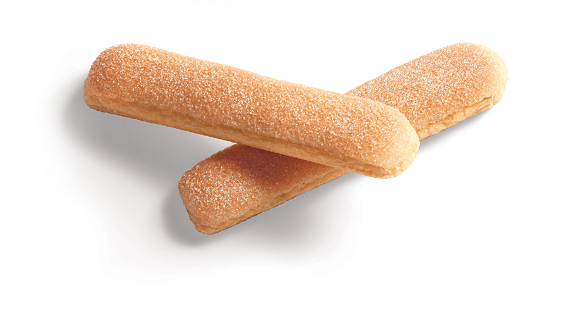 So soft and melting, the « Boudoirs » are Baby’s favorite biscuit when they cut their first teeth. They also have the perfect texture to prepare delectable desserts such as a well-flavored Charlotte or an irresistible Tiramisu. It has been said that this very French biscuit originated in Italy and was inspired by the sponge finger recipe of Catherine de Medici's pastry chefs... Drier and crunchier than its predecessor, the boudoir biscuit was given its name by Talleyrand. This famous 18th century French diplomat loved to dip them into a glass of Madeira wine during his visits to private sitting rooms, known as "boudoirs", where he would talk about… well, diplomacy, of course!